Does the usage of the verbs Ser and Estar in Portuguese puzzle you? Perhaps you have studied them but are still unsure about which verb is appropriate in your Portuguese sentences. 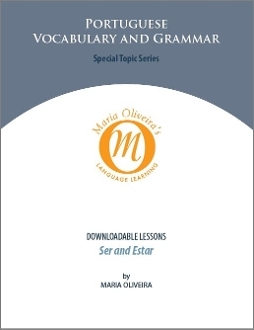 This downloadable Portuguese lesson reviews the various expressions of "to be" and provides practice on how to use both Ser and Estar correctly. Then, practice exercises demonstrate the rules and provide the repetition necessary for learning. You have 3 days and 3 access times to download your program. After 3 days and 3 attempts the link will no longer work.